PostScript Theatre are now rehearsing Gillian Plowman’s Beata Beatrix and my Head Case for performance in London during December and Bristol next January. The evening of two one-act plays is being titled “Talking Dead”, a bit like “Talking Heads” but different! 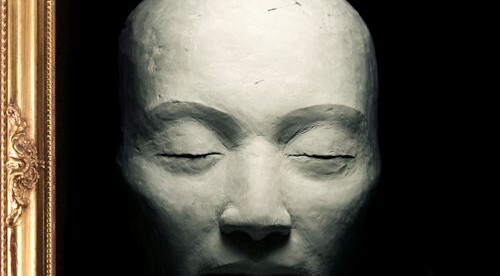 Whilst performing a facial reconstruction on a skull from a police cold case, a blind sculptress finds herself in a conversation with an intruder into her flat – is the stranger a real threat? The play has been updated for this production. Both of these plays have been performed in NDFA drama festivals and been to the British All Winners. Beata Beatrix won though Head Case didn’t. 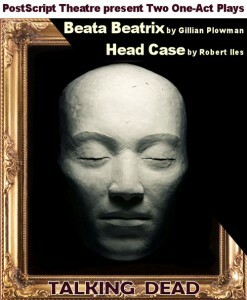 The original script for Head Case is available from StagePlays and that for Beata Beatrix is available via Samuel French.